Tip 1: e-Fields Report: On the farm, data can be crucial in helping make the right decisions. 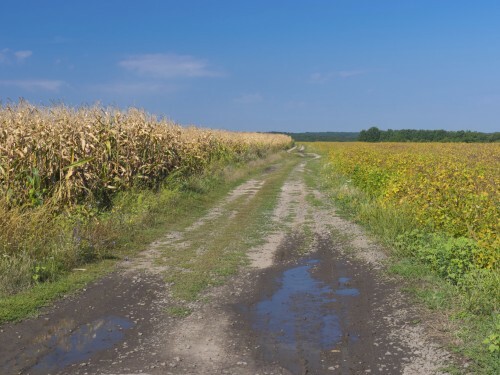 The recently released e-Fields 2018 Report offers data about tests done on 95 farms in 25 Ohio counties. The topics researched in the report include nutrient management, seeding, crop management, soil compaction management, remote sensing, and data analysis and management. Each study includes information about weather, soil types, and management practice. Elizabeth Hawkins, an Ohio State University agronomist based in Clinton County, can address media questions about the report. She can be reached at hawkins.301@osu.edu or 937-382-0901. 24 Grafting Workshop, 8 a.m. to noon, Jack and Deb Miller Pavilion, Secrest Arboretum, OARDC, CFAES Wooster Campus, 1680 Madison Ave., Wooster, Ohio. Features the what, why, and how of plant grafting. Includes hands-on practice. Rootstocks and scions are provided. Participants can take home their grafted plants. Registration: $35 for members of Friends of Secrest Arboretum; $45 for nonmembers. Preregistration required. Details: 330-263-3761, go.osu.edu/Ch3j. 24 Agricultural Outlook Meeting, 9 a.m. to noon, St. Mary’s Hall, 46 E. Main St., Wakeman, Ohio. Discussion of issues and trends affecting Ohio agriculture. Speakers will be Barry Ward, Ben Brown, and David Marrison from OSU Extension and CFAES’ Department of Agricultural, Environmental, and Development Economics. Registration is free by Jan. 22 and $20 after Jan. 22. Register by calling the Huron County office of OSU Extension, 419-668-8219. Details: huron.osu.edu.